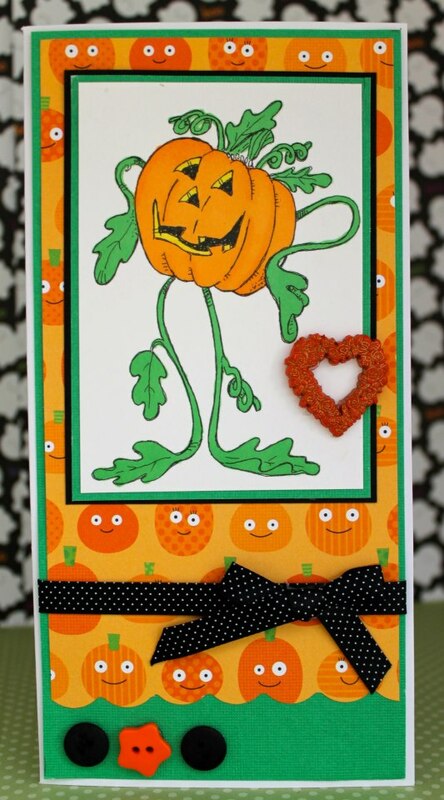 Good morning & Happy Halloween to our US friends! 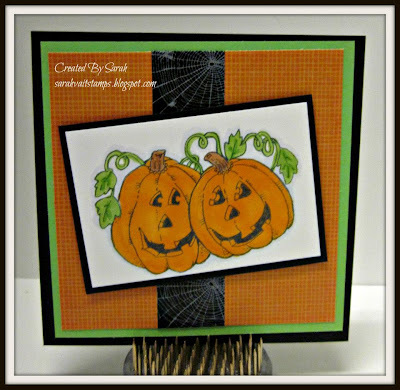 Today I'm sharing a card I created with one of the NEW Digital Stamps in the QKR Store. This adorable Crow doesn't have a name, but he goes by digi24241. I think of him as farmer crow! He was super FUN to color with my Copic Markers. Add in a couple vines and sparkly pumpkins and we are good to go! 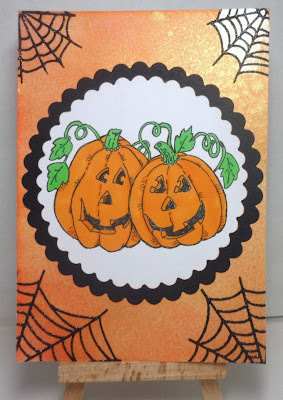 To create the sparkly pumpkins I layered some Bling on a Roll onto scrap cardstock, and then used my QuikKutz Pumpkin Die to punch out the Pumpkins. I had to use scissors to cut the pumpkins out because of the thickness of the Bling. Next time I'll use the dies with my Cuttlebug to see if it works better. 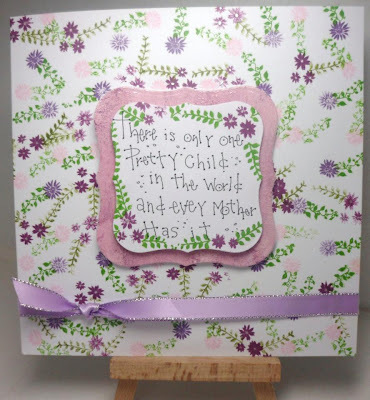 over at Paper Craft Planet. 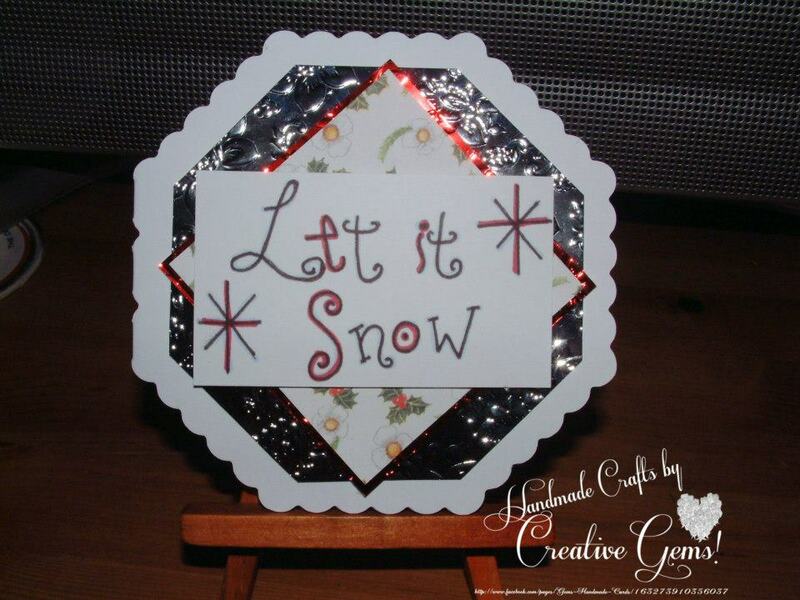 This is a great place to share your creations. 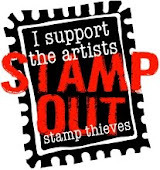 You never know when a FREE Digital Stamp is given out! The current QKR Stampede Challenge is all about using a "Sentiment" as your Focal Point. Scroll down for all the details, or just click on the link located at the top of the page! Tory here again... and let me tell you, Halloween is my FAVOURITE time of year!!! 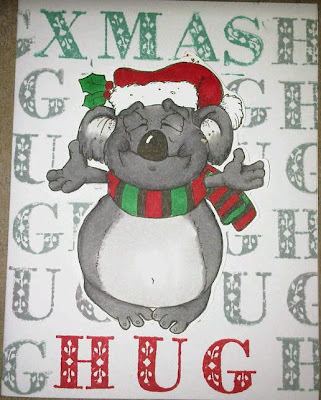 I am so excited I wanted to share these cute little cards with you! This first one is with the Frankenstein Pumpkin, colored with Copics, and matted on a Tim Holtz embossed purple card. Good luck to all and I hope you get lots of Trick or Treaters!! Hello Everyone, Katie here today! I have such a cute Digi Image to share with you today. It is from QKR Stampede and it can be found here. As soon as I saw this image I knew I had to try it! This image could be used for boy or girl cards. I will certainly be trying it out some more! I have coloured the image using Promarkers: canary, Cool Aqua, Cool Grey 2. Welcome to QKR Stampede's 11th Challenge! Thank you so much to those of you who joined us last week for our Animal Madness Challenge! 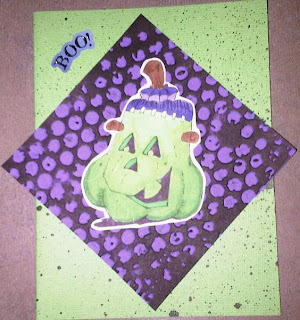 What Fun Creations!! **We Have a SECOND Winner THIS WEEK! 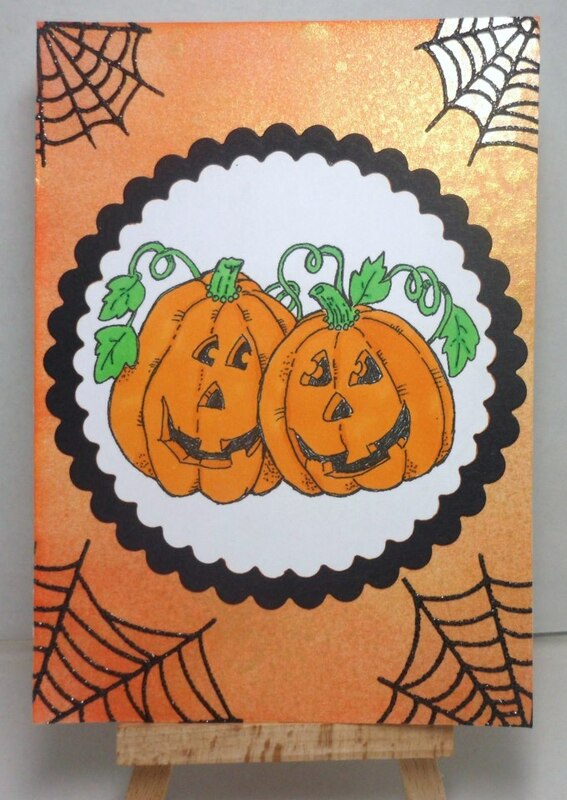 For SUBMITTING TWO BEAUTIFUL CARDS USING QKR IMAGES!! treasure. Nana says, "God has richly blessed me with four existing generations and they all love and appreciate Nana's crafting and card making. 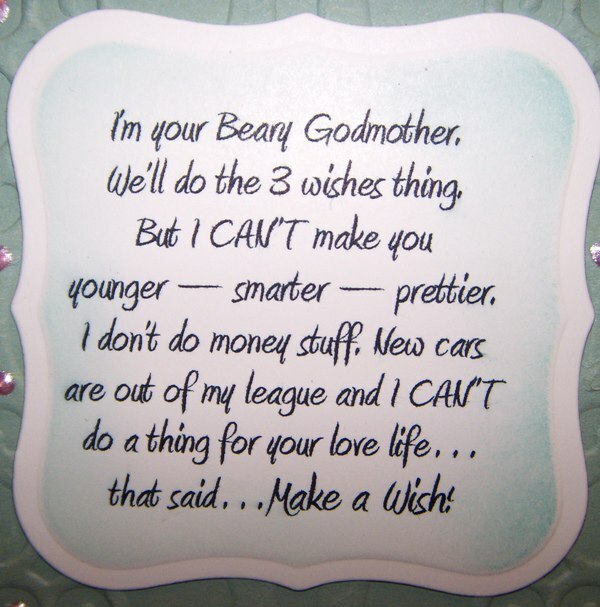 They all consider a card from Nana to be a necessity for any occasion from birthday to holidays to plain old soup-and-nuts. 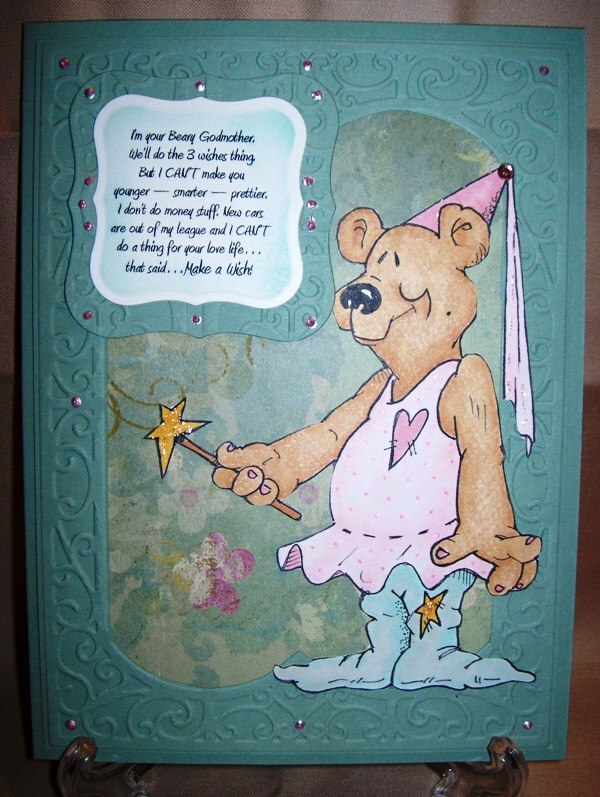 I have crafted all my life but only in the last 2 1/2 years has card making overtaken every other crafting activity. It's the one thing which has become an obsession and prompted my starting a blog not quite 2 years ago. 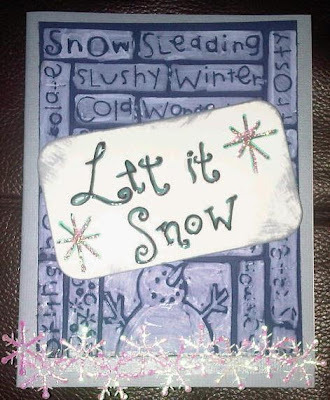 I make lots of cards for our local children's hospital and my church's Women's Guild; as well as Operation Write Home. 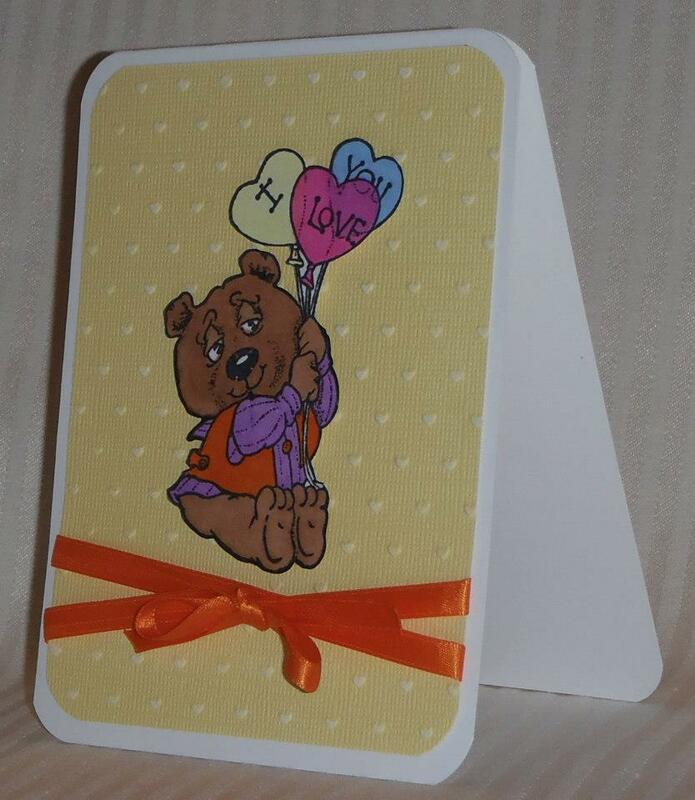 I sell my cards and make cards by commission as well. I love playing in challenges and serving on Design Teams. 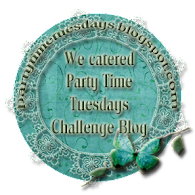 I find that I get as much inspiration visiting the blogs of those who post their projects on the DT Challenges as ever I might give out. 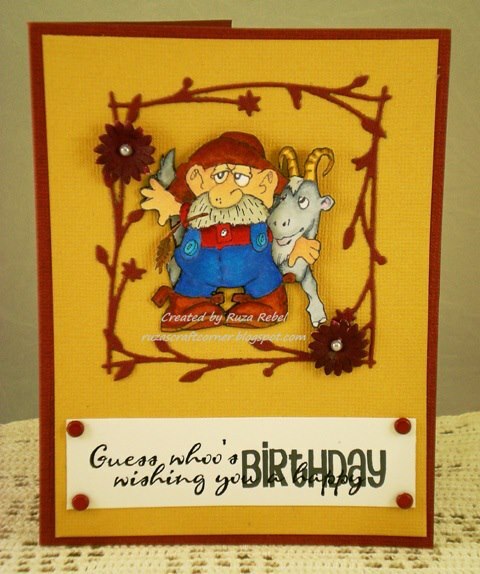 Crafters and card makers are a special breed and I'm honored to be among them." 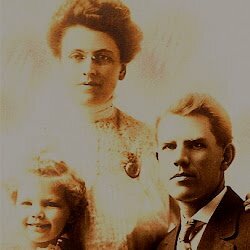 Please Stop By & Leave NanaConnie Some Love! Now onto more inspiration from some of the QKR Design Team Members! If you would like to join us as a Guest Designer for a challenge please add GDT after your name! Well it has been a hectic day here in the Pocock household, we are in the process of changing pcs, so I am affraid I am unable to post a link to the image I have used as it is on the old pc. I am really sorry folks. I used the christmas owl image coloured with pro markers. 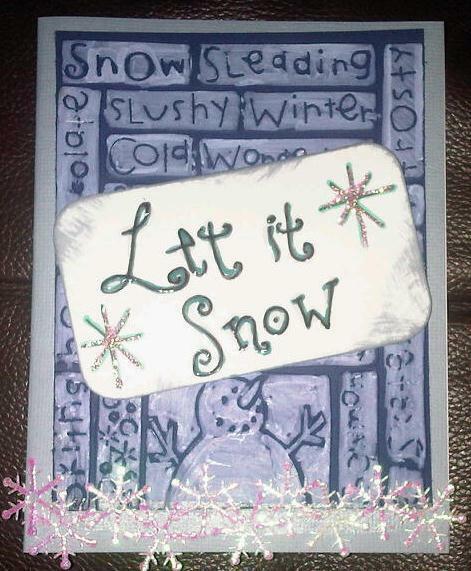 Then matt and layered with christmas paper and red mirror board, finished off with a sentiment and card candi. 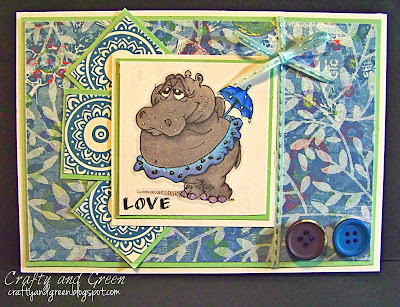 Deb here with a colorful project that had me thinking of tropical places on a cloudy October morning. This creation features Digi2303 Tropical Fish. I chose this image for the coloring opportunity but, truly, almost any QKR Stampede image has amazing coloring potential. The "Copic Coloring Guide, Level 2: Nature" by Colleen Schaan and Marianne Walker is one of the best crafting investments I've ever made. Using the tutorial entitled, "Alternative Blending and Shading Groups" I was able to understand the 10+2 rule for shading and how to blend outside one color family. I highly recommend this book. Otherwise, this was a very simple project which came together in a snap. 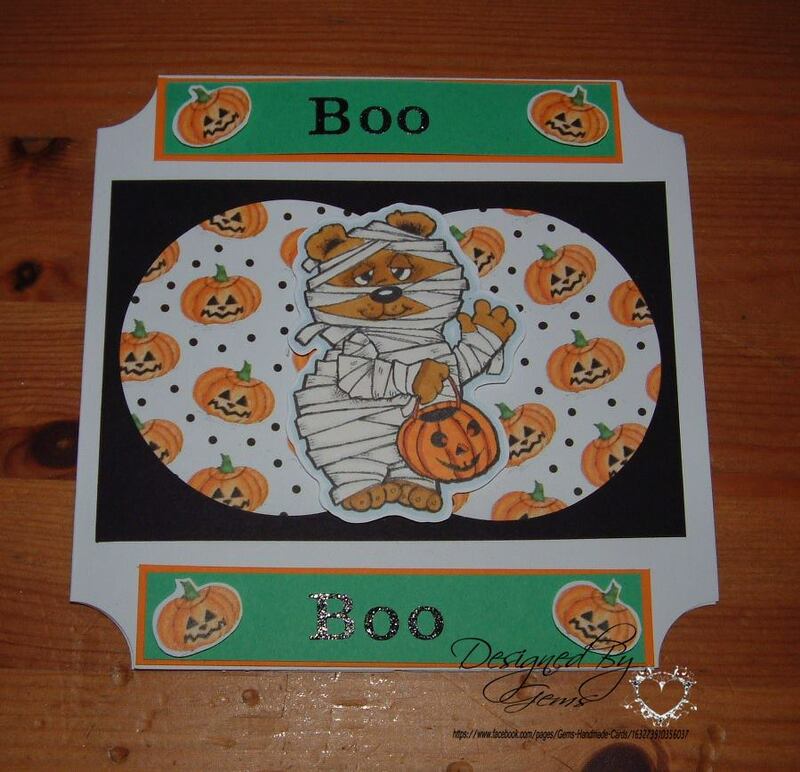 Print the image, color it, cut and emboss with a Spellbinder and sponge with Distress Ink. Cut a piece of black card just a bit bigger and adhere to card front. Add a computer generated sentiment, a few dots of Stickles and it's finished! 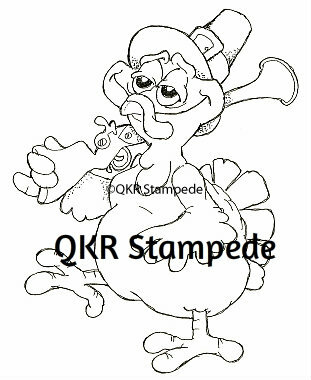 Have a look at the multitude of images available at QKR Stampede with an eye for how you might color them. And don't forget to pop over to my blog for more ideas at I Love It! 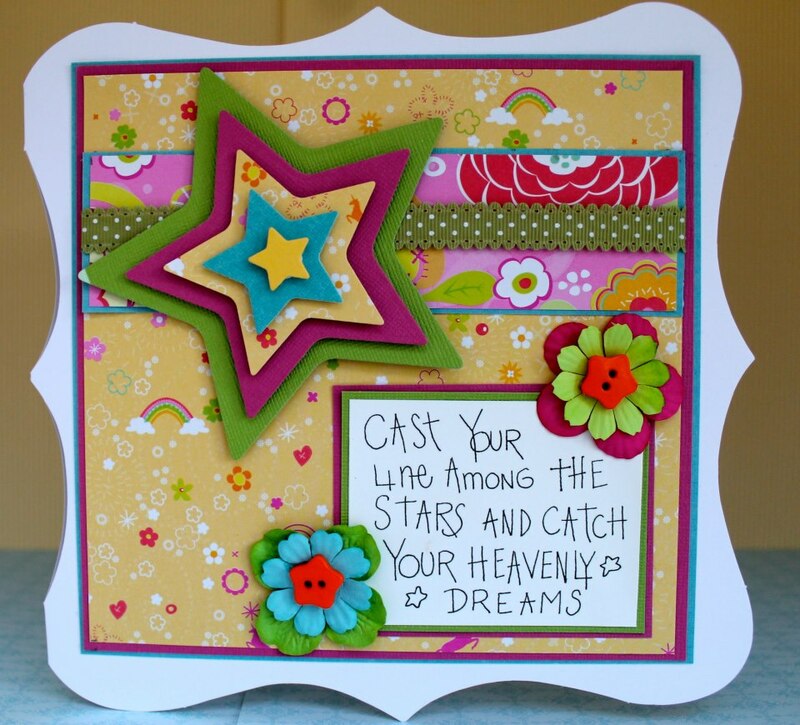 Hello Crafty Friends, Thank Goodness it's Friday! Welcome to QKR Stampede's 10th Challenge! 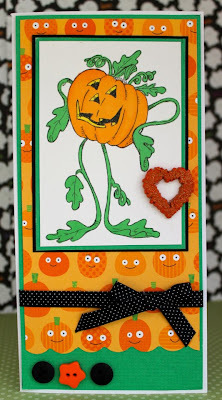 Thank you so much to Everyone who joined us last week for our Pumpkins Galore Challenge! 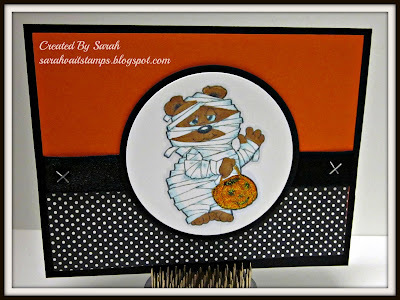 What Pumpkintasickally fun Creations!! Congratulations! Please Email Tina with the words "QKR Stampede Challenge Winner" in the Subject Line! * Also, Don't forget to Grab the Winner Badge from our Side Bar for for your Blog!! We would love for you to share your creations with us on our Facebook Page - for a chance to win 5 Digital Images of your choice from the QKR Stampede store. Contest will end on Oct 31st midnight EST. 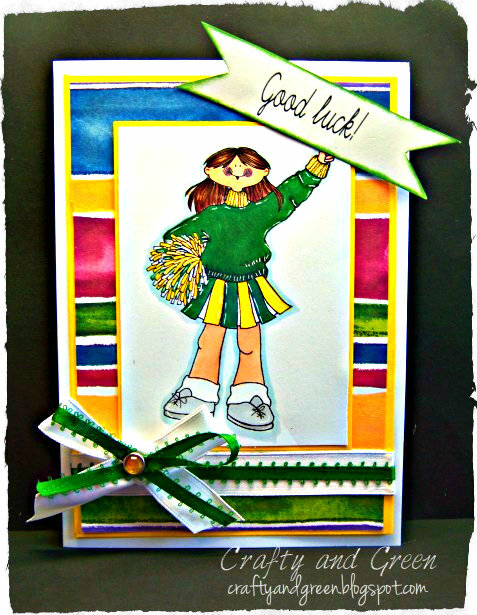 Please Put your Cards On our Facebook Page! 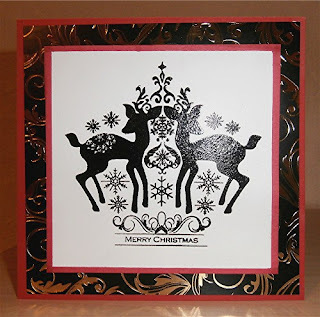 Also-- We Have We NOW Have a Group Page over at Paper Craft Planet. Have you joined yet? If not, what are you waiting for?? 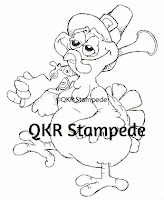 Come on over and join the QKR Stampede Group. 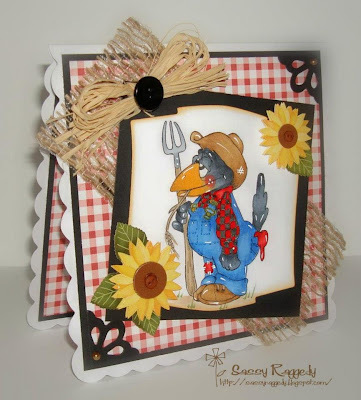 You can also share your creations over on our QKR Stampede Facebook Page. What A Beautiful Fall Day it is Here in Ohio! Tina Here with You Today! 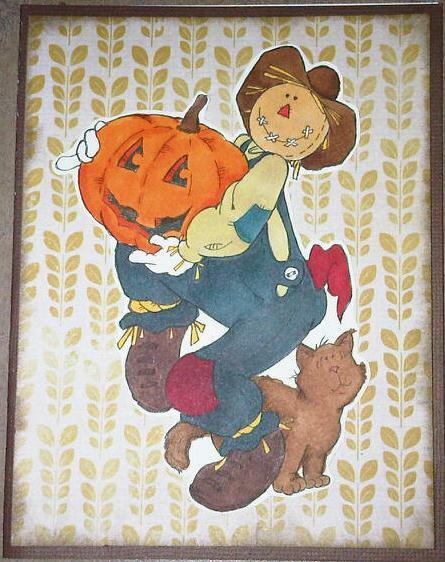 Also, We have Some NEW FALL IMAGES IN THE STORE That we will be showcasing in the Next few Weeks!! Here they are! I Personally LOVE THEM & Can't wait to get them All Colored up!! They are in the Store & You can buy them All--Plus Other New Ones that have been Released!! You WON'T WANT TO MISS THEM! We'd LOVE for you to Sign up for Our EMAIL News Letter Which you Can do On our Store Site! So you can keep updated on What's Going on at the Store! 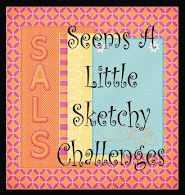 Please Come Join us for Our Current Challenge: Challenge #9 ~ Pumpkin Galore. There still time to join in the fun! You can find all of the details HERE. Also-- Don't Forget About Our Group Page over at Paper Craft Planet. And Last, But certainly Not Least--- We'd Like to Welcome JOANN BURTON AKA Sassy Raggedy To our QKR Family! 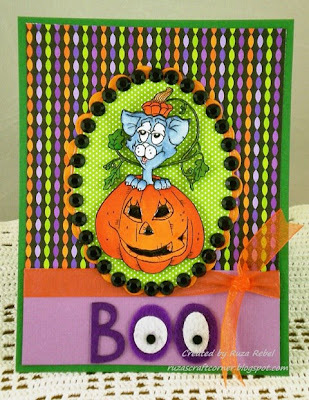 Please Stop Over at Her Blog & Leave her some Love & Get Excited to see her AMAZING Creations!! She Will Also Be Helping Us With Setting up our Guest Designer Program!! YAY! We are So Excited to have Joann Aboard With us!! Good Morning. I hope you are having a great week so far. 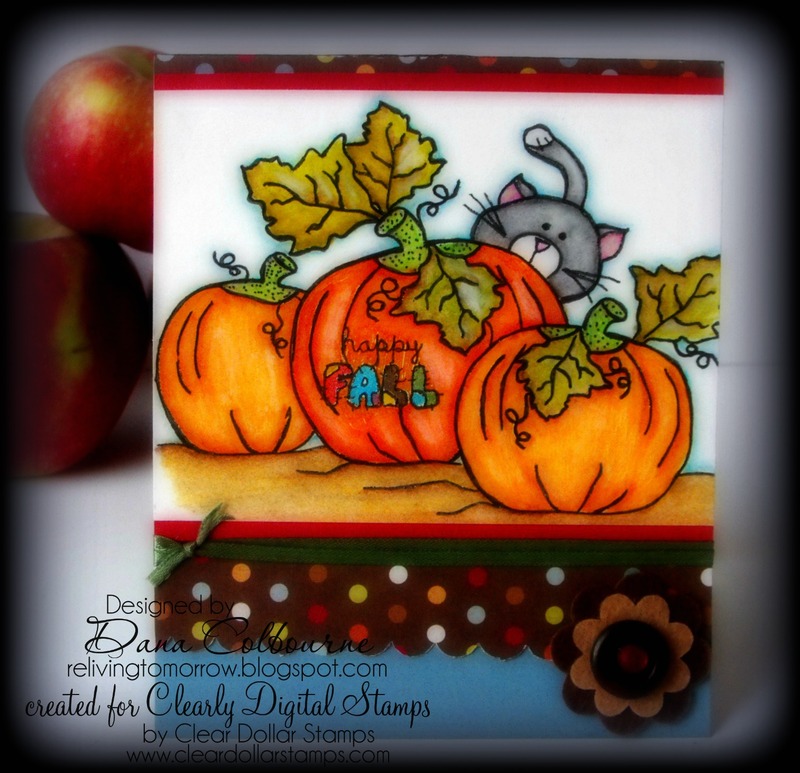 Today I'm sharing this adorable stamp of a dog hiding behind a pumpkin. Isn't he adorable? I chose the Hiding stamp because the dog reminds me of my grand-dog Winston. Yes, I call Winston my grand-dog, and my son calls me grandma when he talks to Winston about me. LOL! Now I don't think I'll see Winston hiding behind a pumpkin unless there are fireworks going off. Those truly terrify him. I colored the stamp with my Copic Markers, and I did a pretty good job of making the dog look like Winston. You can get the Hiding stamp in Digital Format as well as Red Rubber. 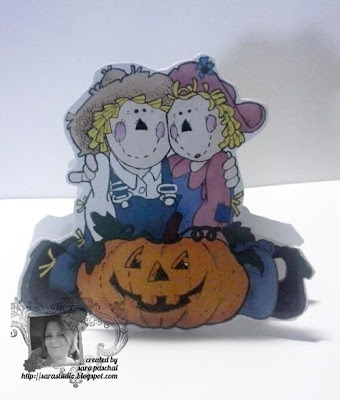 Last week I told you about our Group Page over at Paper Craft Planet. Have you joined yet? If not, what are you waiting for. Here's to hoping that my project inspires you to play along with our current Challenge #9 ~ Pumpkin Galore. There still time to join in the fun! You can find all of the details HERE. I colored the Balloon holder in photoshop, printed her off and fussy cut. 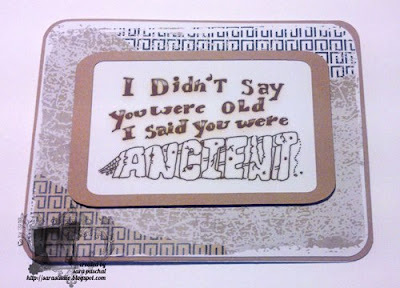 She was layered onto the card using dimensional foam. Next I printed off the Bear Balloon twice. One time on cream and one time on dp. so it appears she is holding the little bear. 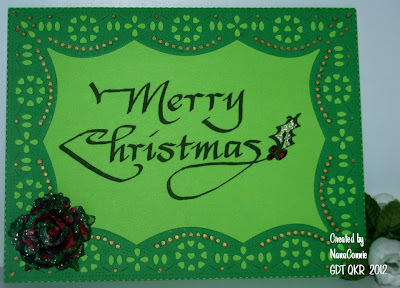 I'd like to share a couple cards with you today. and heat embossed this lovely image onto white card stock. over the entire piece of card stock. The embossed area resists the ink. 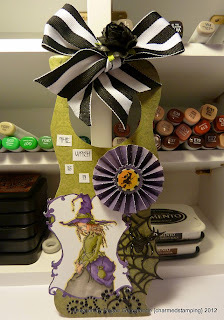 Above I simply added a bit of ribbon for embellishment. 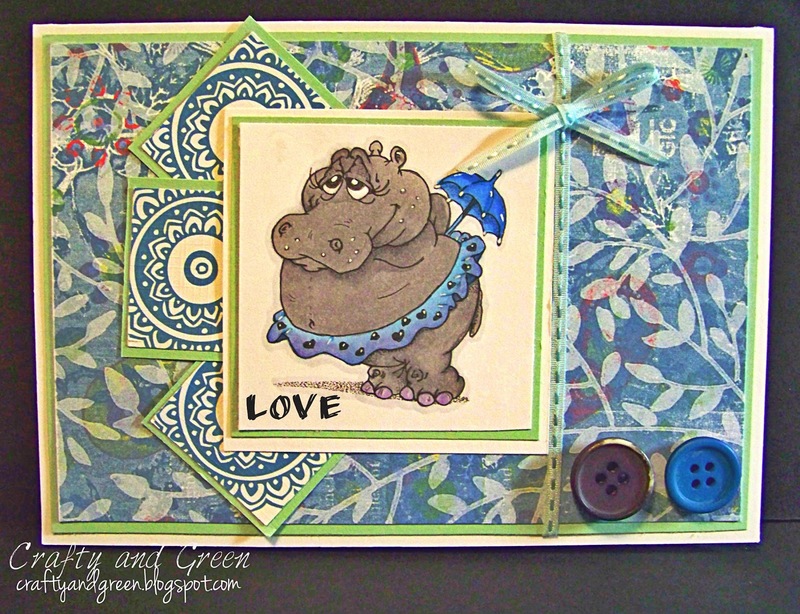 and a button from my stash at the bottom to finish off my card. This is the first bit of craft tape I've used and I'm really loving that stuff! 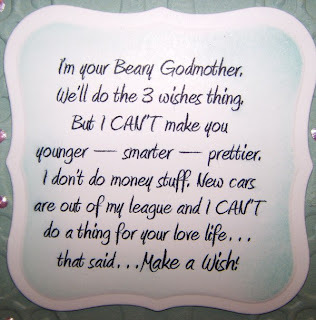 I hope you have gotten some inspiration from my cards. Leave a comment if you will and let me know which card you like better. 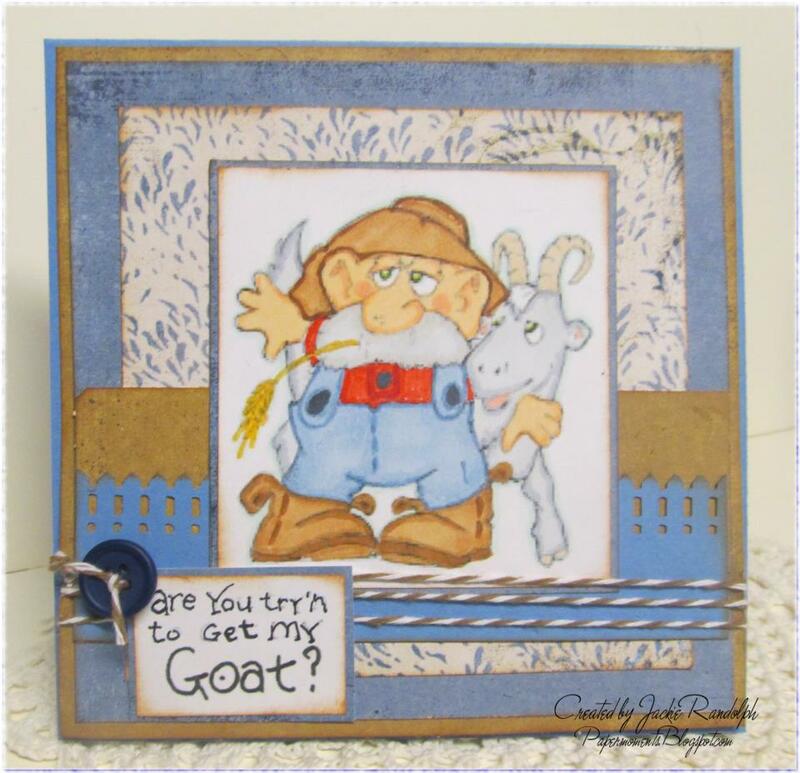 Be sure to stop in to the QKR Stampede store and check out all the lovely images offered. And come again soon, you never know what great inspiration you may get from the design team here on the QKR Stampede blog. 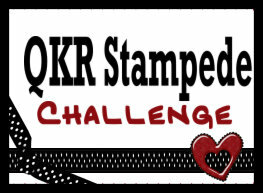 Welcome to QKR Stampede's 9th Challenge! 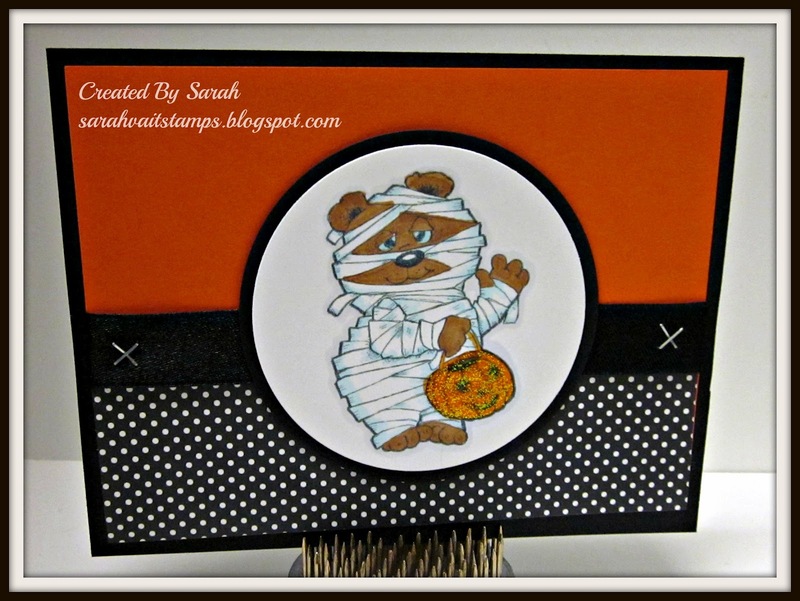 Thank you so much to those of you who joined us last week for our Halloween Fun Challenge! 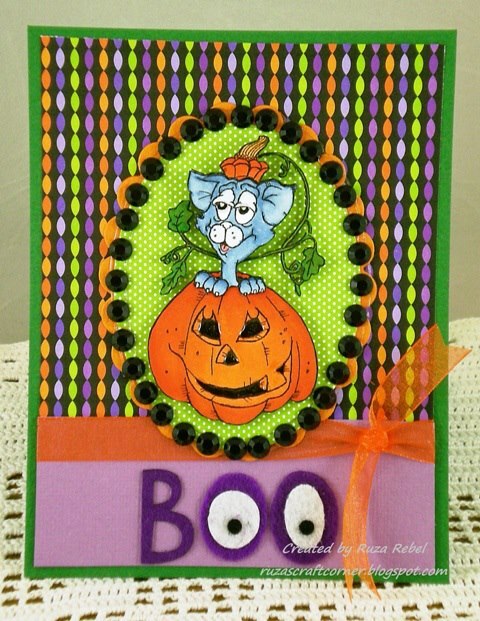 What Fun Creations!! Hi, my name is Deonna Bemish i've been married for 16 years now and have 2 Children 13 year old Girl and 11 year old Boy. 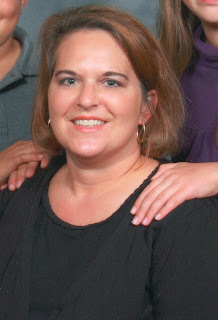 Worked as a Registered Nurse for almost 20 years and then resigned to be a Stay at Home Mother of my 2 Children. I have always been in Love with "Paper" and everything to do with it! Started my Crafty Journey making Scrapbook pages and then discovered Cardmaking. I've never looked back! I'm Curriently on 3 Full Time Design Teams and one Guest DT for the month of October. I guess that you could say that "Papercrafting is my "Relaxation". I can't imagine a day without it. 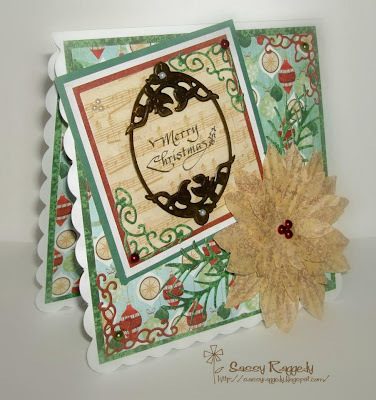 I'm happy to have the opportunity to be Guest Designer for this Fabulous Challenge blog this week and am now addicted to QKR Stampede images. Please Stop By & Leave Deonna Some Love! !